Sarah Song, MD, MPH, is the Founding President of the Illinois State Neurological Society. She is an Assistant Professor in the Section of Cerebrovascular Disease in the Department of Neurological Sciences at Rush University Medical Center. She received her medical and masters in public health degrees from the University of Illinois College of Medicine in Peoria, and completed her Neurology residency at Georgetown University. She completed her Vascular Neurology fellowship at UCLA, and a post-doctoral research fellowship in stroke outcomes with the American Heart Association. She serves on multiple committees for the American Academy of Neurology, the American Heart Association/American Stroke Association, and the Alliance for Patient Access. She also serves on several Editorial Boards, including the patient magazine Brain & Life. Her work has been published in numerous journals including Stroke and Neurology, and her research has been presented at national and international conferences. 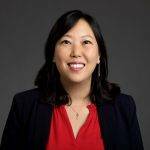 Her research interests include Asian-Americans and stroke, acute stroke systems of care, women and stroke, and community-partnered education interventions. She is passionate about advocating for patients with neurological conditions, protecting and promoting the practice of neurology, and mentoring students, trainees, and junior neurologists. Austin Hake, M.D. founded the Illinois State Neurological Society along with Dr. Song in 2017. He is a general neurologist and shareholder at Quincy Medical Group in Quincy, Illinois. He completed his medical degree and residency at Saint Louis University and a fellowship in clinical neurophysiology at Rush University Medical Center. 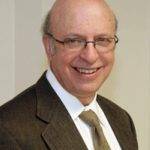 He is board certified in neurology and clinical neurophysiology and is a member of the American Academy of Neurology and the Illinois State Medical Society. In addition to his clinical practice in Quincy, Illinois and an outreach clinic in Bowling Green, Missouri, as well as his work as a clinical site investigator, he serves several administrative roles. Currently, he is medical director of Quincy Medical Group EEG lab, a clinical assistant professor at Southern Illinois University, as well as vice-president of the medical staff and chair of the organizational quality advisory committee at Blessing Hospital in Quincy, Illinois. 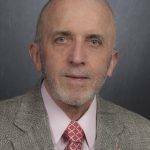 He is also a member of the Quincy Medical Group finance committee and a member of the stroke performance committee at Blessing Hospital in Quincy, Illinois. His areas of clinical interest include migraine, epilepsy, neuromuscular diseases, and stroke. Dr. Smita Patel, is the Director of Center for Brain Health at NorthShore University HealthSystem. Dr. Patel brings expertise in neurology and sleep along with a proficiency in complementary and integrative medicine to develop tailored health plans for her clients. She is board certified in Neurology, Sleep Medicine and Integrative Medicine. Dr. Patel is a strong advocate of educating the community about how diet and lifestyle influence brain health and enjoys empowering individuals to take greater control of their own health. She has participated in clinical research studies in the area of sleep medicine and has written book chapters for several academic publications on neurological disorders. She has a strong interest in researching the cause and treatment of neurological diseases as well as supporting and participating in educational programs. She earned her medical degree from Midwestern University’s Chicago College of Osteopathic Medicine in 2001. She received her neurological training at the Medical College of Wisconsin and Sleep Medicine training at the University of Chicago. Additionally, she completed a two year fellowship in Integrative Medicine at the University of Arizona in Tucson under the supervision and mentorship of Dr. Andrew Weil. Dr. Patel is a member of multiple organizations including the Illinois State Neurological Society, American Academy of Neurology, American Academy of Sleep Medicine and Institute of Functional Medicine. She is also a member of the Consortium of Academic Health Centers for Integrative Medicine, a group of 57 highly esteemed national academic centers whose mission is to transform health care through rigorous scientific study, medical education, and clinical care in the field of integrative medicine. Laurel J. Cherian, MD, MS, is an assistant professor in the Department of Neurological Sciences at Rush University Medical Center. She is the director of the Vascular Neurology Fellowship Program and also serves as a faculty advisor to the medical school. Cherian received her medical degree from Loyola University Chicago Stritch School of Medicine of Medicine in Maywood, Ill. She completed neurology residency at the University of Chicago and a vascular neurology fellowship at Rush University Medical Center. 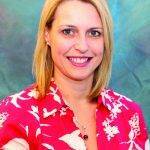 In addition to her clinical practice, she has completed a Master of Science degree in clinical research. She is a member of the American Heart Association and the American Academy of Neurology and is board-certified in neurology with a subspecialty certification in vascular neurology. Her clinical interests include peripartum stroke, intra-arterial therapy for stroke, post-stroke cognition and depression, and cerebral amyloid angiopathy. 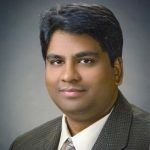 Madhu Soni, MD, FAAN is Associate Professor and Senior Attending Neurologist in the Department of Neurological Sciences at Rush University Medical Center. She graduated from Northwestern Medical School and completed her internship, residency training and clinical neurophysiology fellowship at Rush- Presbyterian-St. Luke’s Medical Center in Chicago. Dr. Soni is board certified in neurology, clinical neurophysiology and neuromuscular medicine. She is head of the section of Neuromuscular Disease and Director of the multidisciplinary Rush ALS Clinic. She was Co-Director of the MDA clinic from 2006-2010 and program director for the Rush Clinical Neurophysiology Fellowship from 2008-2011. She has a busy clinical practice and also has a special interest in medical education. Dr. Soni is director of the neurology clerkship and advanced neurology elective at Rush. She is also faculty advisor for the Rush Medical College (RMC) Student Interest Group in Neurology (SIGN) chapter. She has served as a mentor for local high school and college students, as well as for medical school and neurology trainees at Rush and nationally. During the 2017-2018 academic year, she received the RMC Neurology Preceptor of the Year Award and was nominated for the school’s Positive Learning Environment Award. Dr. Soni is a member of the Rush Medical College Committee on Curriculum and Evaluation and was Chair of the Core Curriculum Work Group from 2007-2010. She served as Assistant Dean of Accreditation and Continuous Program Improvement for Rush Medical College from 2011-2016 and successfully led the medical school through its most recent LCME accreditation visit. 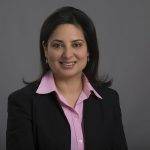 Dr. Soni Co-Chaired the American Academy of Neurology (AAN) Consortium of Neurology Clerkship Directors from 2014-2016 and she is currently Chair of the AAN’s Undergraduate Education Subcommittee. She is also a member of the AAN’s Education Committee and many AAN work groups, including for the Medical Student Pipeline and Women in Leadership. She has served as a course director and speaker at the AAN annual meeting for several years. Dr. Soni is a Fellow of the AAN. She is also on the Medical Advisory Board for Conquer MG (formerly, the Myasthenia Gravis Foundation of Illinois), the Executive Council of the Alliance for Clinical Education, and was recently appointed to the Board of Directors for the Illinois State Neurological Society. She is member of the American Board of Psychiatry and Neurology Professionalism Committee, American Association of Neuromuscular and Electrodiagnostic Medicine, Peripheral Nerve Society, Association of University Professors of Neurology, and Association of American Medical Colleges Council of Faculty and Academic Societies. Dr. Soni enjoys photography, gardening, biking, traveling and spending quality time with family and friends. José Biller, MD, FACP, FAAN, FANA, FAHA is Professor of Neurology and Neurological Surgery and Chairperson of the Department of Neurology at Loyola University Chicago Stritch School of Medicine. Dr. Biller is American Board of Psychiatry and Neurology (ABPN) certified (and recertified, including Combined Maintenance of Certification) in Neurology and Vascular Neurology, and certified in Headache Medicine (UCNS). Dr. Biller served as Director of the ABPN from 1994 to 2001, and President of the ABPN in 2001, and currently holds the title of Emeritus Director of the ABPN. He is the Editor of the Journal of Stroke and Cerebrovascular Diseases, the recent past Chief- Editor of Frontiers in Neurology, and an editorial board member and reviewer for an array of other national and international journals and publications. He has published more than 340 peer-reviewed articles, more than 145 book chapters, edited 32 books, and given more than 650 lectures around the world. Dr. Biller earned his medical degree from the School of Medicine at the University of the Republic in Montevideo, Uruguay, where he had post-graduate training in Internal Medicine. He then completed Residency in Neurology at Loyola University Chicago and a Cerebrovascular Research Fellowship at Wake Forest University, Bowman Gray School of Medicine. Dr. Biller’s enjoys history, opera, football (soccer), and is a cinema buff. He treasures spending time with his 3 grandsons. 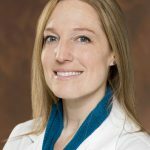 Dr. Becker began her medical career at Rush Medical College in Chicago, IL, and then went on to Wake Forest University Baptist Medical Center in North Carolina to complete a Neurology residency and a Neuro-muscular fellowship. Over the past thirteen years, Dr. Becker has practiced Neurology at a large, multi-specialty group in Central Illinois. Currently, there are three neurology physicians and two advanced practitioners. As an entire entity, her group has more than 250 physicians. The organization is run as a physician partnership, of which Dr. Becker is presently the Chairperson of Neurology. Dr. Becker is married with three children. Her husband is a Chocolatier in the local area and her children are very active with sports and extracurricular activities. Dr. Becker met her husband, Joshua, as a foreign exchange student in the United States (she is originally from the Netherlands). They have two dogs, Luna and Cooper, and Cooper, ironically has seizures. As a family, they enjoy riding bikes, travelling and attending concerts. She is a big fan of the phone game, Candy Crush, and she enjoys treating migraines. 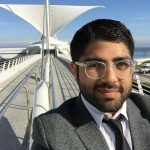 Nikesh Bajaj is a PGY-3 in Neurology at the University of Illinois in Chicago Hospital, with an avid interest in both Health Policy and Sports Neurology, specifically the diagnosis and management of concussion. 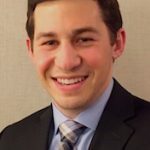 Zachary grew up in Northbrook before attending the University of Illinois at Champain-Urbana where he earned a Bachelor of Science degree in Molecular and Cellular Biology and minored in Chemistry. He then attended Rosalind Franklin University of Medicine and Science earning a Masters of Science in Biomedical Sciences and then a Medical Degree at the Chicago Medical School. 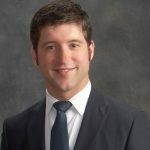 After completing his residencies and fellowships, Zachary plans to continue his career in the Chicagoland area and strongly believes in promoting best neurologic practices by educating aspiring neurologists as well as the public to improve neurologic care in the State of Illinois.